HORIZON 2020 project ARTICONF accepted! 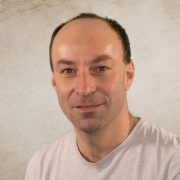 The project proposal “smART SocIal media eCOsytstems in a blockchaiN Federated environment” (ARTICONF) has been accepted and the project will be coordinated by ITEC under the leadership of Prof. Radu Prodan. There are seven participating project partners and the project duration is 36 months. https://home.wp.itec.aau.at/wp-content/uploads/sites/2/2018/03/2018-ITEC-3493_quadrat_1024x1024.jpg 1400 1400 Rudolf Messner https://home.wp.itec.aau.at/wp-content/uploads/sites/2/2018/10/ITEC-Webheader-05-e1538382632478.jpg Rudolf Messner2018-08-10 12:43:262018-08-10 12:45:24HORIZON 2020 project ARTICONF accepted! The book is a collection of essays by 16 international researchers from a wide variety of fields, discussing how Star Trek has influenced what they do and how they do it.Topics range from Astrophysics to Ethnology, from English and History to Medicine and Video Games, and from American Studies to the study of Collective Computing Systems. Philipp Moll is currently visiting his Mentor Jeff Burke at UCLA in Los Angeles. 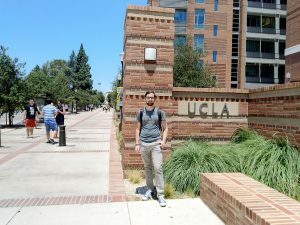 During the stay at UCLA, he is working together with the researchers of the _Center for Research in Engineering, Media, and Performance_ (REMAP) and with Lixia Zhang’s group of the _Internet Research Lab_ (IRL). 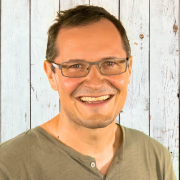 The stay is enabled by the Young Scientists Mentoring Program of AAU, where Philipp Moll is taking part and mentored by Prof. Jeff Burke. 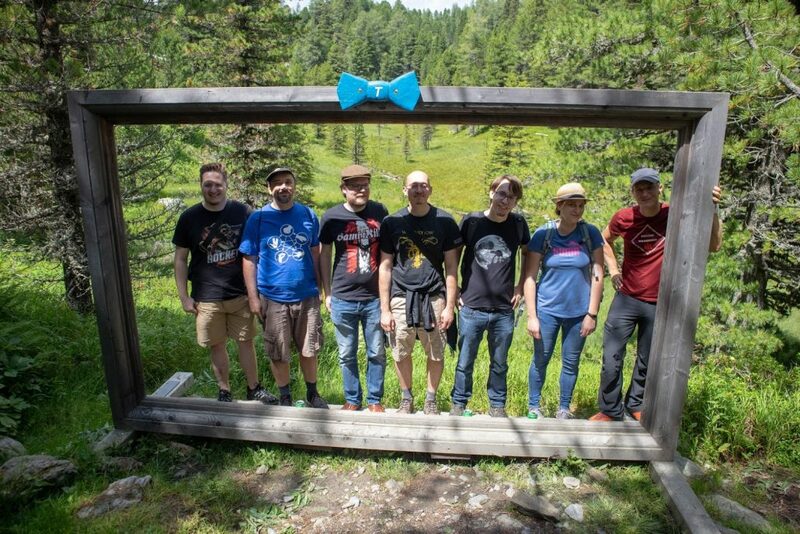 From July 12th to July 14th, staff and students affiliated with the Klagenfurt Game Jam have gathered at the Turracher Höhe for a retreat to discuss the status quo of gaming at Universität Klagenfurt. Organised by Assoc. Prof. Dipl.-Ing. Dr. Mathias Lux, the team of fellow professors, as well as university and student assistants, has taken a moment to celebrate the achievements of the past year, ranging from the most successful Game Jams in the history of AAU to the second Game Pics Show and the impressive start of the Game Studies and Engineering master’s programme, as well as to organise their future strategies and offerings. The serene landscape of the Gurktal was no mere backdrop for strict work, though: once the daily meetings were over, there was enough time to explore the beauty of the mountainside by hiking. The IEEE International Conference on Multimedia and Expo (ICME) is sponsored by four IEEE societies since 2000 and provides a forum to discuss latest developments in the domain of multimedia technologies related to circuits and systems, communications, computer, and signal processing communities. 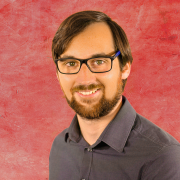 Dr. Timmerer will give a full-day tutorial on “Delivering Traditional and Omnidirectional Media” together with renowned experts Ali C. Begen and Liangping Ma. Furthermore, he will participate in IEEE business meetings, notably board meeting of IEEE Transactions on Multimedia, IEEE Multimedia Communications Technical Committee (MMTC), and IEEE Technical Committee on Multimedia Computing (TCMC). 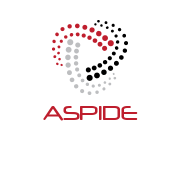 The H2020 FET-HPC project ASPIDE started with the Kickoff meeting at the University Carlos III in Madrid. Follow our progress on Twitter and LinkedIn. Sabrina Kletz presented her poster “On Reducing Effort in Evaluatiing Laparoscopic Skills” at Machine Learning Summer School (MLSS 2018), Buenos Aires, Argentinia. Abstract: Training and evaluation of laparoscopic skills have become an important aspect of young surgeons’ education. The evaluation process is currently performed manually by experienced surgeons through reviewing video recordings of laparoscopic procedures for detecting technical errors using conventional video players and specific pen and paper rating schemes. The problem is, that the manual review process is time-consuming and exhausting, but nevertheless necessary to support young surgeons in their educational training. Motivated by the need to reduce the effort in evaluating laparoscopic skills, we investigate state-of-the-art content analysis approaches for finding error-prone video sections. https://home.wp.itec.aau.at/wp-content/uploads/sites/2/2018/02/Sabrina_Kletz_1024x1024.png 1024 1024 Rudolf Messner https://home.wp.itec.aau.at/wp-content/uploads/sites/2/2018/10/ITEC-Webheader-05-e1538382632478.jpg Rudolf Messner2018-07-05 16:16:242018-07-05 16:16:24Sabrina Kletz presented her poster "On Reducing Effort in Evaluatiing Laparoscopic Skills" at Machine Learning Summer School (MLSS 2018), Buenos Aires, Argentinia. Dr. Muhammad Aleem from the Capital University of Science and Technology, Islamabad, Pakistan, visits ITEC@AAU for a period of two months, invited by Prof. Radu Prodan. 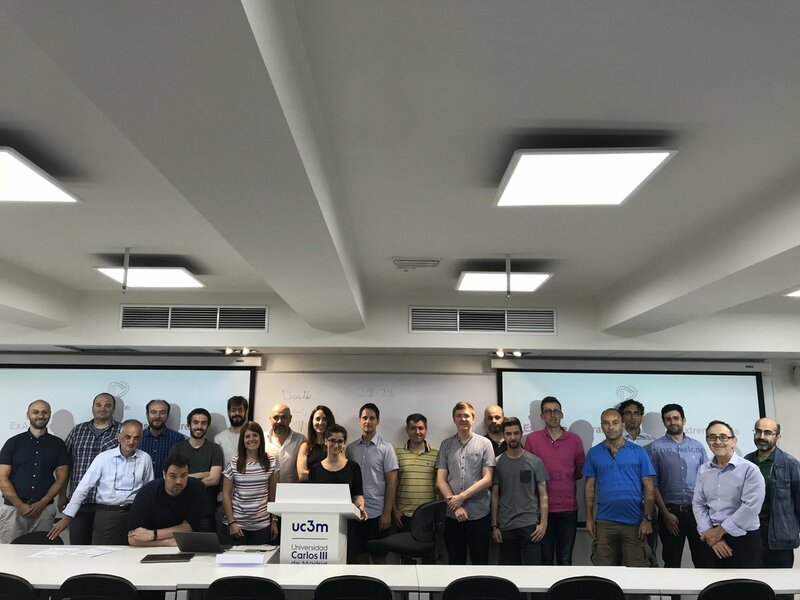 They will jointly investigate novel programming paradigms, APIs, runtime tools, and methodologies for expressing data-intensive tasks on Exascale systems. Prof. Radu Prodan together with Prof. Dr. Eng. 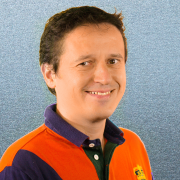 Florin Pop and Dr. Gabriel Antoniu published an editorial on “RM-BDP: Resource management for Big Data platforms” in Future Generation Computer Systems (Volume 86, September 2018, Pages 961-963). Nowadays, when we face with numerous data, when data cannot be classified into regular relational databases and new solutions are required, and when data are generated and processed rapidly, we need powerful platforms and infrastructure as support. Extracting valuable information from raw data is especially difficult considering the velocity of growing data from year to year and the fact that 80% of data is unstructured. In addition, data sources are heterogeneous (various sensors, users with different profiles, etc.) and are located in different situations or contexts. Cloud computing, which concerns large-scale interconnected systems with the main purpose of aggregation and efficient exploiting the power of widely distributed resources, represent one viable solution. Resource management and task scheduling play an essential role, in cases where one is concerned with optimized use of resources (Negru et al., 2017). The goal of this special issue is to explore new directions and approaches for reasoning about advanced resource management and task scheduling methods and algorithms for Big Data platforms. The accepted papers present new results in the domain of resource management and task scheduling, Cloud platforms supporting Big Data processing, data handling and Big Data applications.